Results from over 1 million people reveal how to offset the huge health risks of sedentary lifestyle. An early scientific clue about the dangers of a sedentary life came from a 1953 study. It revealed that London bus drivers were at higher risk of heart disease than bus conductors. Sitting down, it turns out, is not good for you. Now, there is growing evidence that lack of physical activity is a major risk factor for several diseases. Each year more than 5 million people die globally due to missing the recommended daily activity levels. Researchers have now found that an hour a day of moderate exercise is good enough to counter the health risks related to prolonged sitting hours. Physical activities including a brisk walk or taking the stairs can eliminate the health risks of eight hours sitting a day, whether at work, home or commuting. Current recommended daily activity levels for an adult are at least 150 minutes weekly of moderate intensity exercise. However, many adults in high-income countries fail to meet this level of activity. The new research analysed data from 16 studies on more than one million men and women. They divided the individuals into four groups depending on their level of physical activity. People’s exercise levels ranged from less than 5 minutes to an hour’s moderate intensity training a day. Cycling at 10 miles per hour or walking at 3.5 miles per hour were examples of moderate intensity physical activities. The study found that 60 to 75 minutes a day of moderate intensity exercise is enough to offset the risk of early death from over eight hours a day sitting. However, three out of four people failed to reach this level of daily activity. 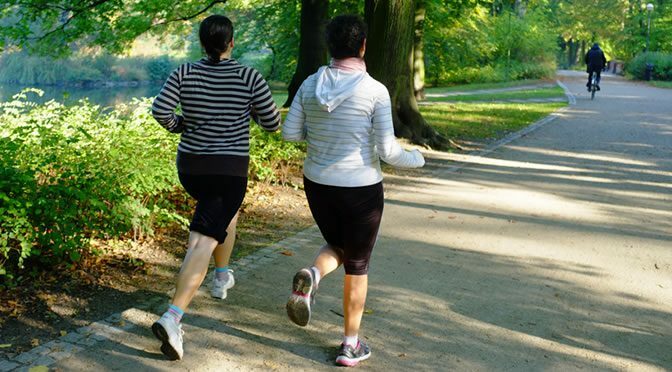 Compared to the most active group, physically inactive individuals were 28% to 59% more likely to die early, suggesting that they are at the highest risk of early death. This is similar to the risk linked to smoking and obesity. “Our message is a positive one: it is possible to reduce — or even eliminate — these risks if we are active enough, even without having to take up sports or go to the gym. For many people who commute to work and have office-based jobs, there is no way to escape sitting for prolonged periods of time. For these people in particular, we cannot stress enough the importance of getting exercise, whether it’s getting out for a walk at lunchtime, going for a run in the morning or cycling to work. The study was published in The Lancet (Ekelund et al., 2016).